It’s safe to say that the vast majority of us are now using digital cameras with analogue devices no longer in use, at least by anyone but hobbyists and traditionalists of photography. It’s easier than ever to access your photographs thanks to digital photography and since it has revolutionised the photography industry for over 10 years ago now, negative based photography has been all but forgotten and rendered obsolete. Sometimes however, when technology changes as quickly as this and as radically, things can be left behind. Negatives were always sent back to you when you had your photos printed so that in the future if you wanted to have them printed again you could. It seems almost laughable now with digital taking over where negatives left off; however, some people are left with a lot of negatives and not a lot they can do with them. Many would like to convert those old negatives into digital photographs but this is pretty much an impossible task for a household scanner, so that’s why negative scanning services have become so important and so sought after. Whether a business seeking to digitise it’s old images or a personal project of old family images, it’s more possible than ever to get your files made digital thanks to negative scanning. Negative scanning is a process that is usually carried out by specialist document scanning companies who deal with all kind of documents and image types on a daily basis. Using special negative scanning equipment, they are able to quickly and easily convert images from negatives into fully rendered digital images which can be saved as JPEG’s, TIFF’s, PDF’s or any other type of digital document. The files can also be indexed if you have a large quantity of negatives being scanned which can named as a reference number or a note of who is in the photograph for example. Often these images will also come in poor condition but thanks to modern technology, these negative scanning companies are also able to restore the files for you, usually at additional cost but it can be worth it to see the original images as they are supposed to be seen. Negative scanning is becoming an increasingly popular service, as a result of the rise in the use of digital cameras, less options for having images developed and people becoming more and more interested in hobbies such as genealogy, the study of family trees. Often the only images that can be found of certain people will only be available through the negatives so this is also seen as quite a necessary service. Businesses are also starting to digitise their old file types such as negatives and microfiche in order to have a digital copy, whether for nostalgia’s sake or for other business reasons. Negative scanning is usually completed fairly quickly, such is the state of technology and the ability to scan the images much quicker; however, there is still usually an element of having to do each negative by hand, but the costs are still not usually too high and can end up being much cheaper than you might expect. If you’re interested in obtaining a quote for negative scanning, contact Pearl Scan here in the UK. We have been specialists in film and negative scanning for over a decade and have a combined experience of over 30 years between the specialists who work here, so you’re guaranteed to get the best possible quality and service when it comes to digitising your negatives. 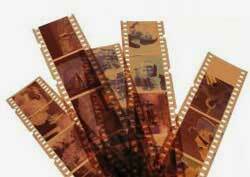 For more information, visit our page on scanning negatives or request a quote on the link below.